More information and updates HERE on the Visit Kyogle website. As Aussie road trips go, the Lions Road NSW isn’t the best known. Or the longest. Or even the most demanding! But this 50 km fully sealed stretch of road linking the Mt Lindesay Highway near Queensland town Beaudesert with the Summerland Way near New South Wales town Kyogle is one of the most scenic, unusual and intriguing stretches of road in Australia. I’ve travelled the iconic community owned and operated Lions road in July 2014 twice. Once travelling north from Kyogle, NSW to Rathdowney, Queensland; then later that same day back south to Kyogle. The drive itself doesn’t take long if you’re just trying to get from A to B. But as a self-drive tour, the Lions Road NSW with its eclectic mix of natural attractions, fascinating history and unusual points of interest is as good a day out as you’ll find almost anywhere! Here are my TOP 7 reasons why! If you want something done, it’s sometimes quicker to just do it yourself! After government funding for a road roughly following the interstate railway line through the McPherson ranges fell through in the mid-late 1960s, the Kyogle and Beaudesert Lions clubs joined forces to build a gravel road themselves. maintenance and improvements via a donation box at the Queensland/New South Wales Border, and visitors to the area have the option of a shorter, scenic and more direct route south. The construction history in the area goes back even further to the railway line – a project employing over 1500 people over four years – with one of Australia’s most historically significant railway engineering feats in Australia, the Spiral Loop. To the casual observer, the photo (below) shows a fairly standard landscape featuring a not-unattractive well-forested hill with an jagged-edged mountain range in the background. But lurking beneath the contours, pixellations and wooded slopes is one of Australia’s most intriguing feats of railway engineering. To reduce the length of the Main Range tunnel a few kilometres north, trains gain (or lose) 20 metres of altitude by passing through the mountain below the lookout twice, completing a loop. Naturally, given our national penchant for clear naming conventions, the whole structure is known as the ‘Spiral Loop’! According to the Kyogle Council Visitor Information Guide, Neville Bonner (first Indigenous politician) was the first person to travel from QLD to NSW through the main tunnel. When he was a child, his stepfather worked on the line, and Neville was passed through the hole when the tunnel broke through! Tragically, the daily passenger train from Brisbane generally passes through the loop and tunnel VERY early in the morning. So rather than risk a dark, frosty drive during our mid-winter stay in Kyogle, we planned a Sunday drive to catch the mid-morning goods train – which we would have done if not for a FLAT TYRE! So I leave you with this photo (above) of a passenger train passing the Kyogle Caravan Park instead! a) Admire the Scenic Public Toilet! d) Walk the Border Loop Track! From the Border Loop Lookout, the Border Loop Track is a 1.2 km easy stroll through a stand of wet eucalypt forest before entering the dense rainforest of the Border Ranges. It’s an insight into the difficulties in constructing a railways roads through thick, tick-infested scrub over rugged and mountainous terrain! At the junction of the High and Low roads, a few kilometres north of ‘The Risk’ – the locality off the Summerland way where the Lions Road NSW starts just 19 km north-west of Kyogle – the Viaduct towers above Gradys Creek. From here, the Low road follows the railway line more closely before re-joining the High Road a few kilometres north. But for me, the Viaduct is just another compelling reason (along with the Spiral Loop) to make the trip across the ranges by train one day! a) Make a donation. All funds raised from the donation box go to the Kyogle and Beaudesert Councils for maintenance and improvements of the road. b) Check your rig for runaway rabbits! Because bringing a rabbit across the border into Queensland (that’s what EVERYONE wants to do, right?) will attract a fine of up to $44000. c) Admire the scenery (see 1st photo above). It’s REALLY worth it! Especially the view looking from the New South Wales side down the range – and extraordinarily steep road – into Queensland. d) Take a photo or two, or two hundred. And be grateful that I’m NOT on Facebook – if I was, I’d have uploaded ALL the photos I managed to take in the few minutes we stopped at the border gate. Across the border, down the road and round the corner – actually, make that LOTS of corners and many crossings of Running Creek – the Andrew Drynan Park with its picnic area and campground is a great place to stop and admire the superb scenery. And a scenic amenities block is one of the BEST reasons to stop! Or is that just me?! A turn-off to the left just before the Lions Road meets the Mt Lindesay Highway at Innisplain ends at Rathdowney, where we turned around for the return leg of our Lions Road NSW odyssey. Gateway to the magnificent ranges of the Scenic Rim, including Mt Lindesay and Mt Barney, the small town of Rathdowney is a great base to explore the Rim’s eastern reaches. Restrictions: Please NOTE that some vehicle height and weight restrictions may apply. Please check before taking this route if you are towing, or if your vehicle is high. I guess it’s good that more people can access the “Lion’s road” now that it is sealed all the way, but I’m so glad I traveled it a few times in the 4wd when it was only a narrow dirt road as it was more of an adventure then. Still a great drive though. Wow, driving the dirt road would have been an amazing road-trip, Bernie! I bet it seems pretty tame to you now 😀 I’ve only ever done the sealed road – but I can imagine how hairy some of those bends, drop offs and steep sections would have been!! Everything that everyone else said plus – take care you need to keep attentive because oncoming traffic just “bobs up” without warning. There is a campground off the LR to the east up in the range I can’t remember the name it was worth a stop over. I can’t agree more, Col – it’s a great road, but with narrow, winding parts you need to drive very carefully! Thanx for the tip about the camp ground – if you do remember the name, please let us all know! Can not wait to do the trip after the road works inc the bridge works are finished in app 6 mths, why have we never heard about this road from Macca. Ron & Paulene Gordon. It’s an awesome little trip, Ron and Paulene – Macca doesn’t know everything, haha!! I hope you find it as interesting as I did when you finally get to do it!! Scott Lamond, ABC Bundaberg replacing Macca for 2 weeks, did an interview with my husband who is the Kyogle Lions President, which was aired on 8th January regarding the history of the road and it is available on podcast. A book on the road was published by the late Jack Hurley – the champion of the road – to celebrate the 50th anniversary of Kyogle Lions in 2002 but unfortunately is out of print. What a great experience, Luckless Luigi!! It’s such a great drive, but I’m loving hearing all the great experiences people have had on the Lions Road! I don’t have the clearance height for the road – can I suggest you contact the Kyogle Visitor Centre for more details HERE http://www.visitkyogle.com.au/index.php/drives/ for more information? Have a great trip! Lions Road (Beaudesert to Kyogle and back) is a semi-regular trip we make. Went down last night and did the return trip home, getting back around 11.30pm (QLD time). My first time doing the Lions road at night. Are you aware of the ghost on the road from NSW to QLD (but not seen going into NSW). It flies at the driver’s side of the car and then dissapears. All in white and appears to be wearing a long flowing gown of some sort. Any idea of who or what that might be? We were talking about it after it happened, and my boyfriend said “did you see that?”. He said he thinks someone was killed there, probably in a road accident or when the road was being built. He has seen it before, many times, but only after passing the border gates from NSW back into QLD and only at night, always at the same spot. Anyone else seen this ghost and have any info on it? Hey Shadow! I’ve never heard of the ghost but it doesn’t surprise me that a unique experience like the Lions Road comes with its own ghost!! I mention a book about the road in my post – I haven’t read it, but I wonder if there’s anything about it in there?? It may be available from the Kyogle Visitor Centre. I googled it too, but it really looks like you’re onto something unusual!! Is there anyone else out there with a Lions Road ghost sighting to share??? went to do the Lions Rd today in our RV but had to turn back, as across the NSW border vehicles above 5 tonne are not permitted. Height may have been a bit iffy too. Bummer!!!! Hey Steve! Oh, that’s a shame! I’m updating the post with that information so others don’t get caught out. The rest of the region is SO worth it – as you’ve probably found out! Happy travels!! See you on the road somewhere, sometime!! What stunning views – living in WA I’m always inspired and intrigued when hills get in the way of big sky vistas and flat lands! I can’t wait to get back to NSW one of these days and to explore this part of it would be lovely. Thanks for the great tips (and pics). Yes Jo, us South Aussies also have the same problem 😀 These mountains are STUNNING – it’s well worth a visit and you’ll have the satisfaction of visiting somewhere a little off the beaten track! Have a great week!! Ooh, I’ll be back home at Chrissy. This looks like it could be a nice trip to take for a few days. Lovely shots again. The scenery is spectacular, Yum! And if you can time it to check out the train going through the loop, then you’re doing better than I did!! $44000! What can I say! Iris, I think it helps to know the story behind the box! If there was no explanation, I’m sure there wouldn’t be anywhere near as many donations! Hey – You are back! Wait. Maybe it’s me who is back. So- how many bunnies did you smuggle across the border? Or am I reading this wrong. Hey, Bob! Thanx for coming back!! Did you hear from the Travel Chennel yet?? Haha, I don’t think so!!! Even though I tried hard, I just couldn’t find any rabbit stowaways in the car so if any made it across, they did it under their own steam!! Strange though – on the return trip, there’s no embargo on bringing rabbits BACK from QLD to NSW!!! Go figure!!! I am not sure what the holdup with the Travel Channel is. I’ve contacted them several times. It’s all roller coasters and bikinis. Maybe you need to check out a beach side theme park. Haha Bob, so you’re saying they might find my little story about a quirky Aussie road-trip a bit – gulp – BORING??!! Who knew TV could be so shallow?!?! Hahaha! Rabbit Keeping Penalty is so expensive! I’ll make sure when I go into Queensland. Thanks! Haha, Kozue! I wonder how many rabbits have crossed the border?!?! It must be a problem, or they wouldn’t have the sign!! What beautiful views and intriguing history. There really is something wonderful around every corner where you wander throughout Australia. The viaduct reminds me of one just like it at Stanthorpe. Hi Kathy! We made a quick visit to Stanthorpe, but didn’t see the viaduct – perhaps that was because we were too busy pigging out in the bakery?!?!?! You’re right about the wonders of OZ – I’m finding them EVERYWHERE! What an interesting area. Spiral railways and monster viaducts…..you know how to grab my attention. Further research required. 100,000 vehicles a year and if most donate, the road could almost make a profit. Good point, Andrew – the tourist brochure lists major expenditure for the last few years and where the funds came from. As an example, in 2013, $30,000 was spent on road widening & resealing – all of this came from donations. In 2011 of the $100,000 spent re-sealing 4km of road, $90,000 came from donations & $10,000 from the Kyogle Council. Other years have a mixture. Just shows what a committed community group can achieve! Wow! So lovely, and what a fascinating story. It would be lovely if we could get our local politicians to work together to pay for roads, but nobody wants that responsibility, unfortunately. Yes, dream on, Tina!! Like the rest of us!! It’d also be lovely if we could get our local politicians to spend all the taxes and levies we ‘donate’ on essentials too. I certainly made a donation to the Lions Road – how could I not? But with cash-strapped governments short on long-term expenditure and big on grand gestures and quick fixes around election time, I fear more and more roads (and other services) will head in this direction! 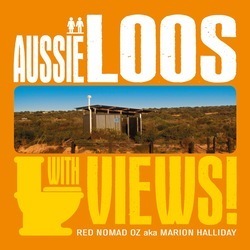 Hi Red Nomad What time does the train go through the loop & can u camp over night in the camp ground. Hi Ron and Paulene! The train timetable changes regularly, so it’s probably best to contact Countrylink on 132232 or Casino Railway station on 0266634910 to check on train times closer to the time you want to travel. For the most up to date information about camping and campground availability, please contact the Kyogle Visitor Information Centre on (02) 6632 2700 (here’s a link to their website: https://kyogle-visitor-information-centre.business.site/). Please also note that you should check road conditions with the visitor centre if you’re planning to tow on the Lions Road – I believe there’s a size restriction. I hope this helps!